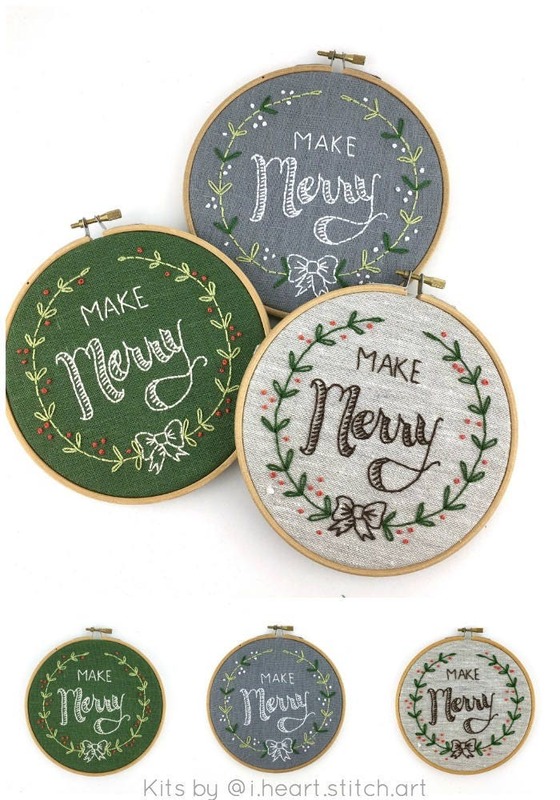 Christmas embroidery kit - Make Merry! 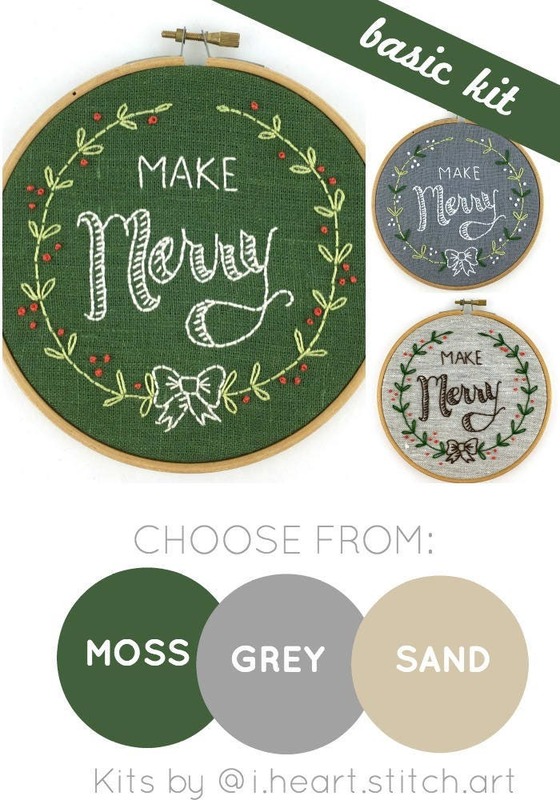 Choose from moss, grey, or sand, and create the perfect Christmas decoration or gift. *Please note: MOSS green is slightly different fabric than the SAGE green we offered last year. If you are trying to match fabric from previous kits, I have a small quantity of the old fabric reserved and can accommodate if possible. Please convo me to discuss! 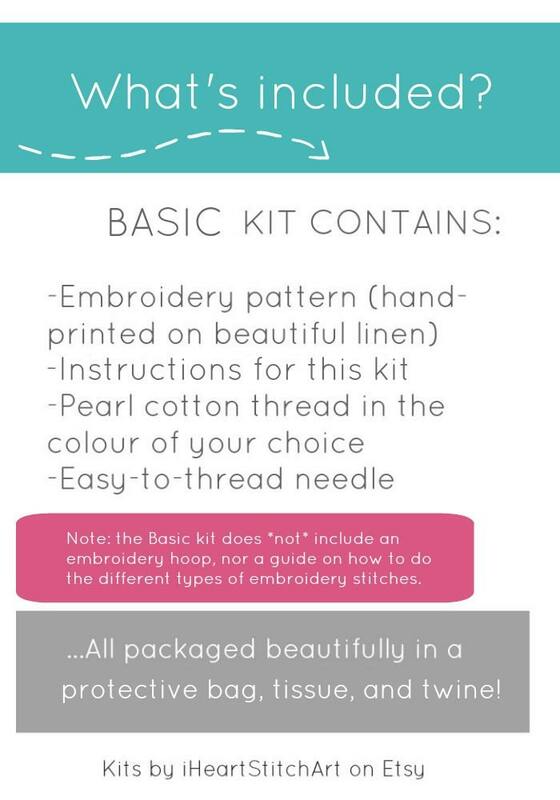 Please note: the BASIC kits do not come with an embroidery hoop. You will need your own hoop to complete the project. A 6" hoop is needed for this pattern. Prefer a PDF pattern? Coming soon! I've made a couple of other I Heart Stitch Art embroidery kits, so I was excited to discover the Christmas collection. Planning to make and use as a wall decoration. Lovely design. High-quality materials. Quick shipping. Oh, and the packaging this kit arrived it... I re-wrapped everything up after I opened the box, just because it was so darn cute and adorable!! !